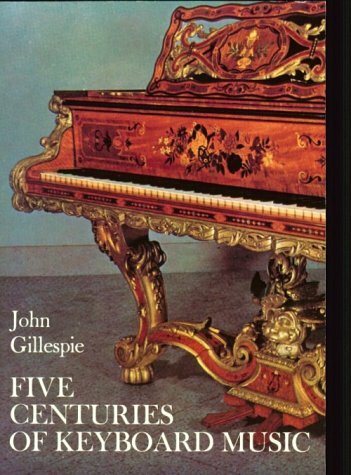 John Gillespie has written an invaluable resource for anyone interested in solo keyboard music. There are brief biographies of the most important composers, and the author's recommendations of each composer's best solo keyboard works. Gillespie also mentions minor composers, and summarizes the "mood" of each musical period.